In this day and age, there are multiple different career paths that you could take in order to make a stable living and work an interesting job in the meantime. 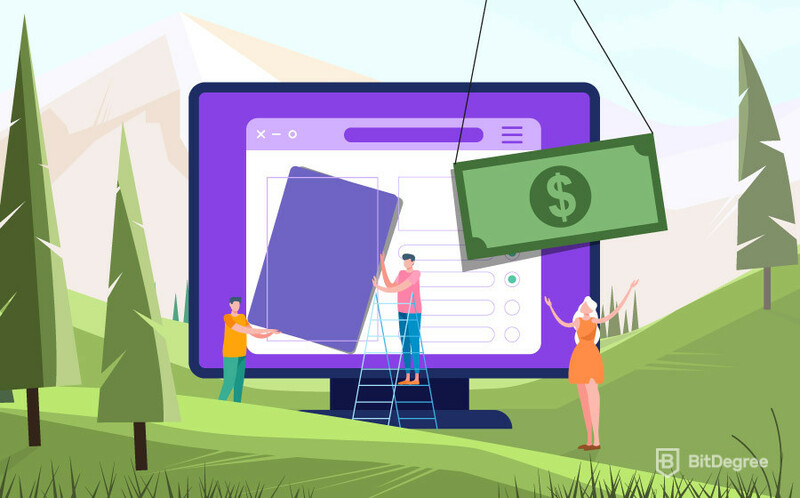 A lot of the high-paying jobs revolve around the IT industry – whether it be web development or programming, the salaries that this industry offers are often on the amazing side of things. If you’re interested in IT, but are not sure which branch of this field would suit you best, online reviews that focus on job descriptions, features and salaries can be of great help. And this UX designer salary review is exactly something like that. In the beginning, we’ll talk about the job itself. I won’t go too in-depth with the description, since this isn’t really a “job review”. That being said, it’s very important that you get the main idea of what this job has in store (and how are UX designers different from UI ones). After that, we’ll also briefly go over the main types of UX designers that there are. Finally, at the end of this article, I’ll tell you all about the user experience designer salary in the US. We can’t really start talking about the UX designer salary before figuring out what a ‘UX designer’ actually is, now can we? If you’re reading this, chances are that you’re already pretty aware of the profession in question. However, let’s still go over some main points of interest. UX stands for “user experience”. Now, you might think to yourself – how do you design experience? Well, there are many different variables that come into play when thinking about UX. What does a user like? Why do they like it? Where did they find it? Why did they click on one button, instead of another? There are thousands and of similar questions that UX designers have to ask and answer every single day, at least on the customer end of things. However, there’s also the business side of the matter. A UX designer, after he or she is done with the analysis, has to bring the information to the company that they work for. Then, they need to find a way how the company could improve its business practices, according to the information presented in front of them. 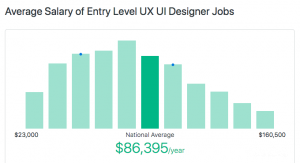 Another important point that should be addressed is the confusion around the UI/UX designer salary. A lot of people tend to mix up the two types of designers. They are very different! UI designers are concerned with the visual side of a platform. They take care of what the user sees when he or she enters a platform. UX designers, on the other hand, take care of the experience side of things – this basically covers everything from a user’s first impression of the site all the way to the checkout page once they have decided to purchase a product or a service. The UI/UX designer salary also differs quite a bit, too. UX designers tend to get paid a bit more than their UI-concerned colleagues. Now that we have the definitions and basic descriptions out of the way, we can move on to the next segment in our UX designer salary review – the different types of UX designers that there are. Imagine this type of a scenario – you’re looking for a job, and find that a UX designer salary looks like something that you were dreaming about. Now, the only problem is that you’ve only ever bothered to learn the very basics of UX design. Still, you decide to apply for the job and – lo and behold! – you actually get it! Apparently, the company was looking for an “entry-level” UX designer someone who they could take in and teach all of the required skills. Now, imagine the same scenario, only if you were to have a few years of experience in the field of UX design. You would probably be hired and given a “junior” UX designer title. What do you think would be the main differences between the two titles? The UX designer salary? Well, yes… But not only that. Each job that you’re going to work in will have different sub-titles attached to them. Some industry-specific jobs have sub-titles (or tags) unique to them, but most professions use the same, main tags that are generally agreed-upon to be the best representations of the job position. UX designers also use the latter ones – there are three big ones that you should know about, so let’s go over them real quick. The “entry-level” tag (more commonly known as the “beginner” tag) refers to the absolute newcomers to the industry. These can be anyone from university undergraduates all the way to people who have self-taught themselves the essential skills of UX design. The “entry-level” tag refers to someone who has absolutely no prior experience in the field of UX design. These people usually acquire some skill either by studying in a formal education-based institution (i.e. university, college, etc.) or by taking online courses, hiring tutors, or simply watching YouTube videos and reading articles on the subject. As you can probably see, there’s a huge variety in the ways of how beginner UX designers acquire their knowledge! No matter what their preferences of knowledge acquisition are, there is one thing that all of these people have in common – they have no prior working experience in the field of UX design, and are looking for their first job. Employers know this – if a company hires a beginner UX designer, he or she then has to go through a special training program that’s designed to prepare him or her for the career path ahead. Naturally, this means a lower UX designer salary – one can’t expect to get an amazing user experience designer salary while doing entry-level tasks and spending most of their time learning! But why would a company hire entry-level employees, in the first place? There a couple of reasons for why that might happen. The first one is pretty easy – an employer might want to take in a person and teach them company-specific skills – in other words, let the person “grow into” the company. This would mean that the employer would be able to spend little money on the humble UX designer salary, and have a dedicated, loyal employee along the way. The other reason, however, is a bit more complex. You see, a lot of universities require their students to have a certain amount of hours worked in a company. This is called “practice”. Employers know that – some of them love taking in practitioners, since they often have to work for free (depending on the rules of the university) or receive a very humble UX designer salary, and are potential future employees. Ah, the junior group… I swear, I mention this in every single review that I write, but it’s just so true – these guys and gals are the most difficult ones to analyze and talk about. Let me just tell you why. Let’s say, we’re trying to discuss the average UX designer salary. It would seem logical to think that the junior user experience designer salary would be the perfect reflection of the average (since it’s the middle group), right? Well, no – that’s actually very rarely the case. You see, the junior group of UX designers (and most other specialties at that) is very broad – you have people from both the beginner and the senior groups “bleeding in”. This means that a junior UX designer might be someone that is on the last few steps of becoming a senior… Or someone that has just exited the entry-level stage of their careers. Since there are no objective rules that would define these groups (only very broad ones), there’s a lot of overlap. And you can’t expect all of these people to be paid the same UX designer salary – even though their official “tag” is the same (junior), their skill levels differ by a lot! When it comes to the actual description of the group itself, junior UX designers are people who usually have a few years of experience in the field, working a few “odd jobs” here and there, or perhaps even freelancing. These people tend to already know the intricacies of the industry pretty well – all that they need now is experience. Junior specialists are the most common group that employers hire. They are often the “builders” of a company – juniors are the people who perform the essential, every-day tasks that the company needs to be able to grow and develop. Now, with the two groups covered, let’s move on to the final boss – the senior group of UX designers. Senior specialists are regarded as the best that an industry has to offer, no matter which industry we’re talking about. UX design is no exception – senior UX designers are people who are driven by questions, who wake up every single day with the thought of tackling some huge obstacle that’s in the way of their success. Fancy descriptions aside, though, senior UX designers are truly the best professionals of their craft. A senior designer will have multiple different responsibilities in the company. Since UX design is a very communication-driven area of expertise, these people have to be great team members, in addition to being able to communicate with customers and users successfully. They have to possess the skills of critical and analytical thinking – it would be impossible to make crucial decisions without them! Senior UX designers are also often tasked with managing and supervising company newcomers. This is common practice in many different companies across a wide variety of industries, but this fact does not make the task any easier. Not only do senior designers have to be able to communicate their knowledge to their younger peers, but also perform their daily tasks (which tend to be really hard!) in addition to that! As per the senior UX designer salary, it’s honestly quite self-explanatory. It’s only natural that these specialists get paid the highest amount of money in this profession – they are the best that it has to offer! Now that we have talked about what a UX designer is and discussed the main types of UX designers that are out there, we can finally move on to talking about the UX designer salary itself. However, please keep one thing in mind – the numbers presented below are just estimations. In no way are they a guarantee that you’ll make that amount of money as a UX designer. It depends on multiple different variables, plus the salaries themselves are very volatile and prone to change. We’ve already talked about the fact that people say that beginner salaries aren’t really a dream when it comes to the UX designer salary. Let’s take a look at the numbers and see if that’s really the case. According to Ziprecruiter.com, the average entry-level UX designer salary should be around $86,400 USD per year mark. This would come out to be $7200 USD! That number is truly impressive! It’s very rare to see a beginner salary that would be this high! Honestly, this just goes to show that the UX designer job isn’t an easy one, and that there’s a whole lot of learning to go around. As I’ve mentioned a bit earlier on, the junior group is a bit complicated when it comes to the UX designer salary. Uxdesignersalaries.com still provide a number, but please note that this number is very prone to constant change! 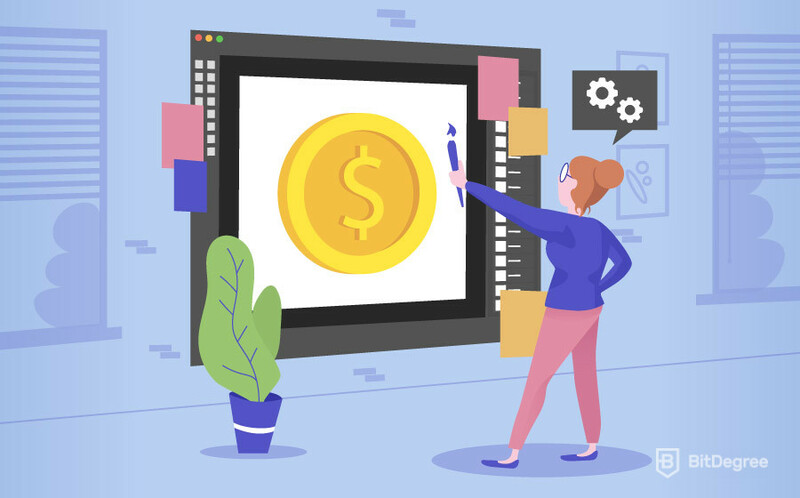 According to the site, a person who belongs to the junior group of UX designers can expect an average UX designer salary of $96,400 USD annually, or a bit over $8000 USD per month. All things considered, that isn’t a bad pay! It’s a bit odd seeing that it isn’t all that much higher than the entry-level one, but it’s still pretty good! 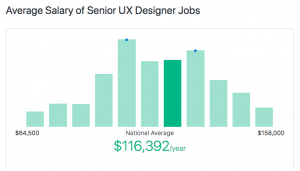 Let’s not waste any more time and reveal the UX designer salary that you’ve been waiting for – the senior one. According to ZipRecruiter, a senior UX designer can expect to earn around $116,400 USD per year, or $9700 USD per month! I don’t think that this requires any more comments – that’s an amazing salary, even given all of the hard work that senior UX designer do daily! So – we have reached the end of this UX designer salary article. I hope that the information provided within was useful to you, and that you’ve found the answers about the UI/UX designer salary that you were looking for! Until next time!